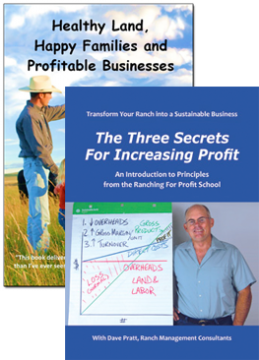 Taped live at a workshop in Salina, Kansas, this DVD is a fantastic introduction to the Ranching For Profit School and a great review for RFP alumni. 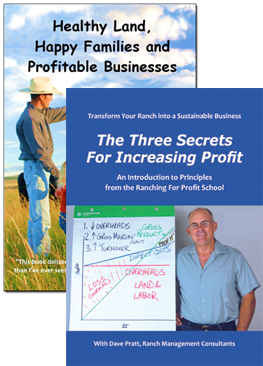 Dave Pratt teaches principles that have helped thousands of ranchers on four continents increase the profitability of their businesses and the quality of their lives. Engaging, insightful, provocative and funny, Dave challenges many common practices of modern ranching. He offers insights and tools that will improve the profitability of your business. Do you own a business or a job? The three secrets for increasing profit. Benchmarking: Finding your deadwood and profit drivers. Wealthy on the balance sheet and broke at the bank.